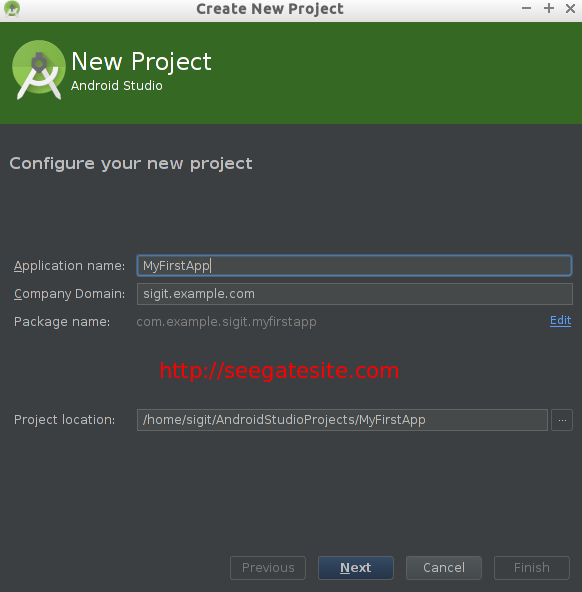 Seegatesite will share the Introduction Android Studio for Beginners. As a fellow beginner android programmer, is a good idea that I share what the android studio is? 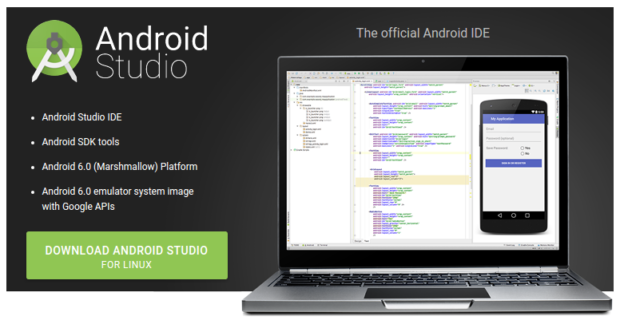 Android Studio is an IDE for Google Android Development that introduced at the I/O 2013. What is the difference between Android Studio with Eclipse? 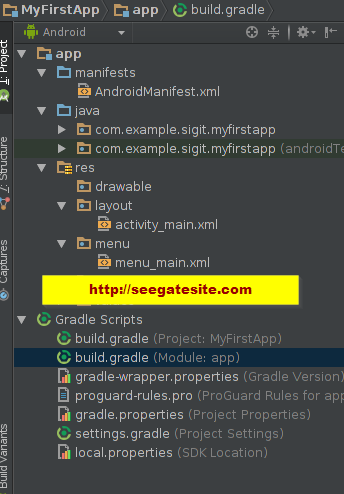 The Android Studio uses “Gradle” to manage the project. Gradle is a Build Automation Tool, to learn more, please visit the following link gradle.org, this is what distinguishes gradle of Ant or Maven that use XML. 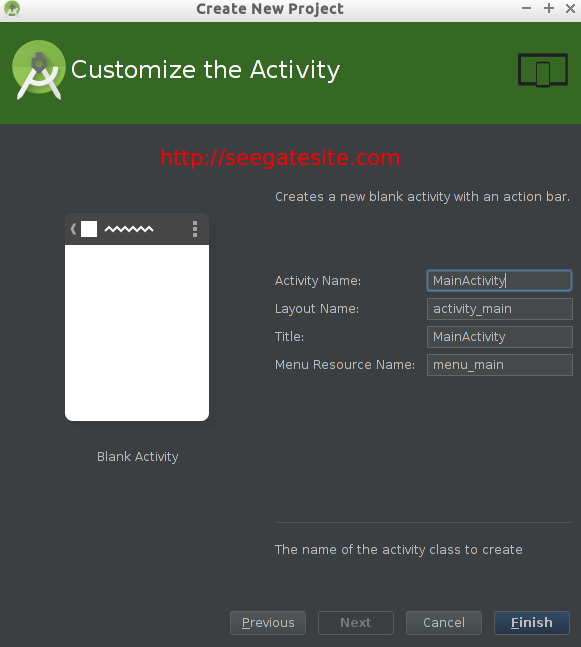 In this article I will discuss how to create a new android application project and introduction Android studio layout. 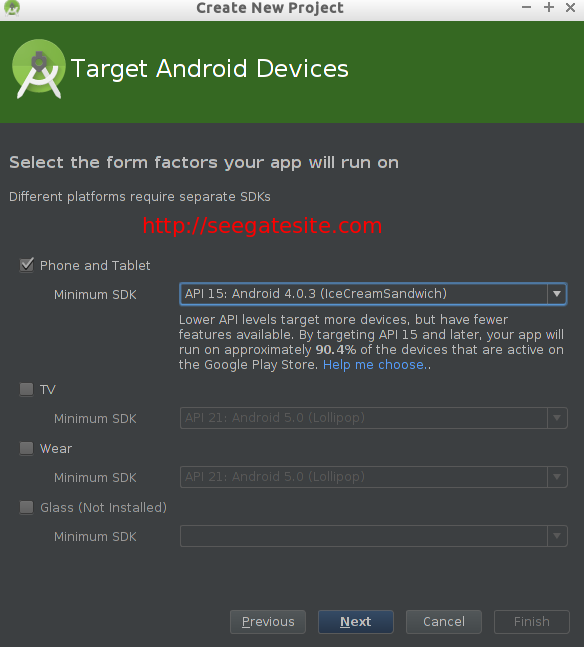 To download the latest version of android studio, I suggest downloading the following link. In my article , I installed the Android Studio on the Ubuntu operating system. If you need a tutorial on how to install android studio on ubuntu , please watch the video below that I found on youtube. This is the initial view Android Studio after loaded. Click start a new Android Studio Project to create a new android project, then naming and package applications as shown below. In the determination of the build targets, if in the Eclipse the users specify a target while in android studio build only determine the minimum SDK. Also in the Android Studio, applications can be packaged in the form of Android TV, wear and glass. This is the initial display after setting the previous project properties. This android app will display Hello World. Just like eclipse, android layout is divided into two, namely the design and text, by default at the time it opened in android studio xml layout using design mode, but you can change to text mode, so it looks source code of its XML text. Android Studio already has a Live Preview, so we don’t need to commute to the design mode just to see the results of its XML code. 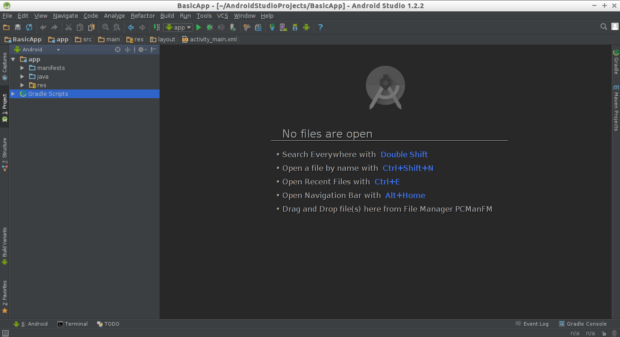 Folder structure on the Android Studio as follows. – Build folder is such a gen’s folder in eclipse, it files the results generated from the IDE, so it does not need to be changed the contents of the folder. – Libs/ Folder same as in eclipse. If you use the library in .jar form then place it in a libs’s folder. – Src/ Folder . 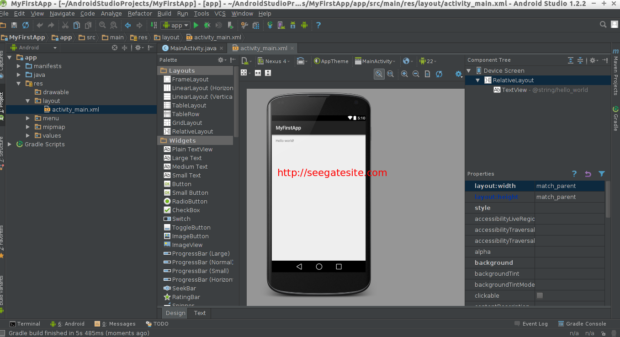 src is the folder where stored the Java source and layout in XML, the default android studio will generate two folders namely, androidtest and play. Androidtest Folder is a special folder UnitTest, if you don’t understand it, focus only on the main folder, because the source and resource located in that folder. What’s new in Android Studio is gradle, featured a build automation. More can be seen at the following website http://www.gradle.org/. Gradle file contains libraries used, the version of the application, signed key properties, etc. repository location. Files that will often be changed is build.gradle file located in the folder app/.